Have you ever wanted to backup voice memos from iPhone to mac? 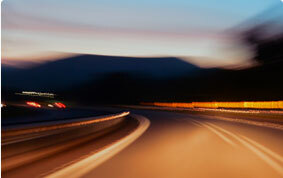 Here is the easiest method you can employ to do that. Apple's built-in Voice Memos App in the iPhone makes it simple to record notes, sessions, interviews and presentations, or to record your music, memorable audios etc. And there are occasions when you need to sync voice memos from iPhone to Mac for a backup, or to free up iPhone space, or for editing. Transferring iPhone voice memos to Mac is obviously more difficult than recording a Voice Memo, but you have several ways to achieve that. 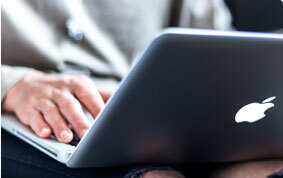 Check out top easy way to extract voice memos from iPhone to MacBook Air/Pro/iMac easily. MacX MediaTrans. You are allowed to sync voice memos from iPhone XS (Max)/XR/X/8/7/6s to MacBook Air/Pro/iMac one by one or in batch. 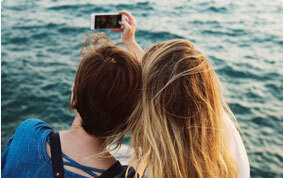 It can export iPhone voice memos of 10GB in seconds thanks to GPU hardware acceleration technology. In addition, the tool's built-in audio converter can automatically convert voice memos to MP3 or AAC with untouched audio quality output. 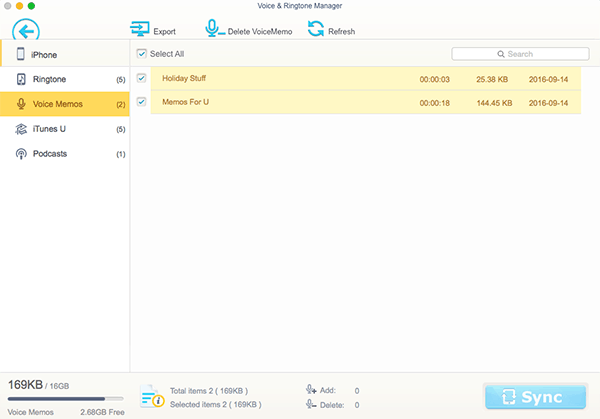 And it gives you a wide range of options to manage, edit, trim and delete voice memos on iPhone and many more. That's not the end. It can sync music, ringtone, books, movies, videos, photos, podcasts, etc. between iPhone iPad iPod and Mac/PC, as well. Step 2: Click "VoiceMemo & Ringtone" icon on the main interface of the iPhone voice memos sync. All the data including ringtone, Voice Memos, iTunes U, Podcasts etc. will show on the left. Click "Voice Memos", select the target Voice Memos or check "Select All" box to extract all the Voice Memos on iPhone to Mac. You can convert iPhone voice memos to MP3 or AAC by heading to Settings > Options and check the box auto convert music format to MP3 or AAC. And your voice memos will be converted automatically by this iPhone manager program. Of course, it's a no brainer to convert protected M4P to MP3, encrypted M4B audiobook to MP3 during the iPhone to Mac syncing procedure. Step 3: Click "Export" on the top and start to copy iPhone Voice Memos to Mac. Tips: it allows you to delete voice memos and manage voice memos easily. It's quite the same to transfer music from iPhone to Mac, photos, movies, videos, audio books etc. to Mac/PC. 1. Open Voice Memo app in your iPhone. 2. Select the track you want to get off. 3. Tap the Share button and then Mail. Send voice memo to your email address. 4. Open email on Mac and download the voice memo from iPhone. 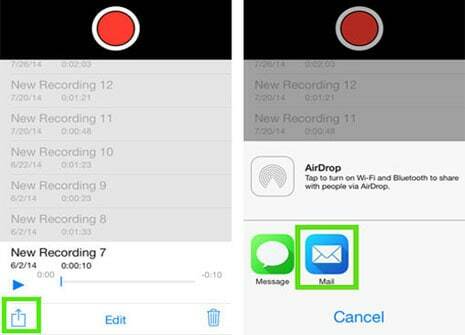 Tips: It's a straight-forward way to export voice memos from iPhone to Mac without iTunes Syncing using email. But it's only proper for sending iPhone voice memos of small size. If your Mac supports Airdrop, you can export iPhone voice memos to Mac via Airdrop, which requires a Mac with OS X Yosemite or later and iOS 7 or later. 1. Open Voice Memo app on iPhone. 2. Select the voice memo you want to move to Mac. 3. Tap the Share button. Select "Save to Dropbox". 4. Go to Dropbox on Mac and copy iPhone voice memos to Mac. Before you use Dropbox to copy voice memos from iPhone to Mac without iTunes, you'd better check out how much free space left. 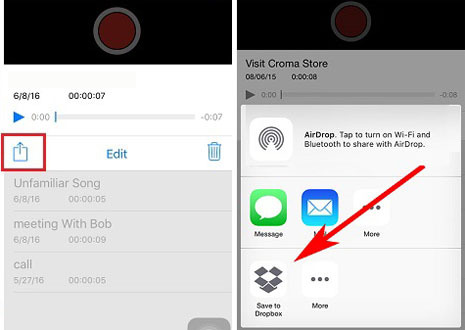 Dropbox will stop syncing iPhone voice memos to Mac when you are over your storage quota. You can also use Dropbox to backup iPhone files. 1. Open iTunes, make sure you've upgraded to the latest version. 2. 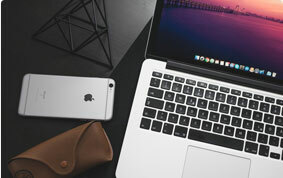 Connect iPhone to Mac with included USB cable. You'll see your iPhone icon at the left corner after it is recognized by iTunes. 3. 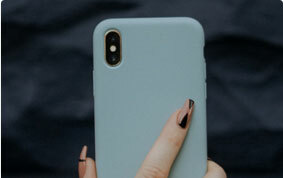 Click iPhone icon and then Music under Settings. 4. Check the box "Include voice memos". 5. Click "Apply" and all the voice memos on iPhone will be exported to Mac. 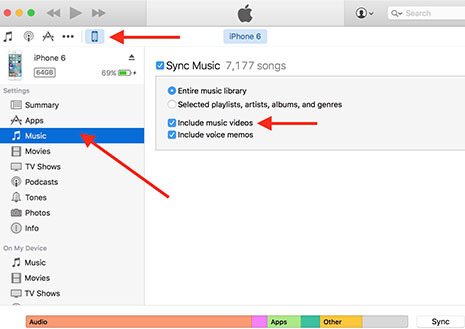 Note: "Voice memos not showing up in iTunes", and "voice memos on iPhone not syncing with iTunes at all" are quite common problems reported by iPhone users who used iTunes to transfer voice memos from iPhone to Mac. You can download iTunes alternative for Mac for hassle-free iPhone voice memos transfer without iTunes syncing. Is it Possible to Bulk Transfer Audiobooks to iPhone without Any Error? 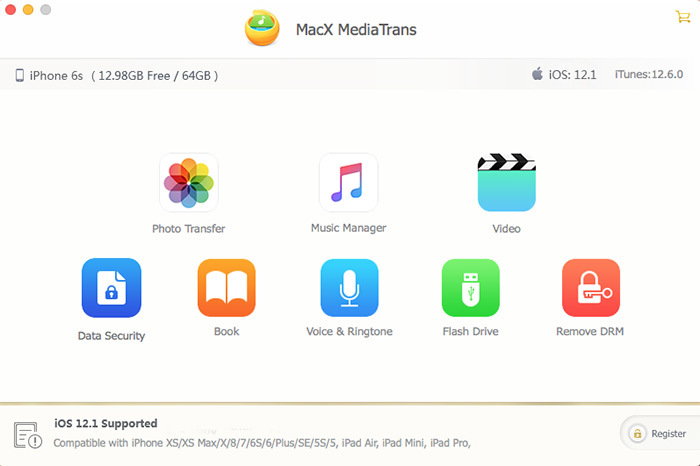 Transfer CD to iPhone without iTunes? How to Make this Happen? iTunes Songs Greyed Out/Dotted Circle? This Way They Have Tested is Helpful! Nothing's Easier than This to Transfer iPhone Voice Memos to Mac!